"Braunschweig Kohlmarkt" by Igge - Own work. "Hannover - Marienwerder - Kloster". 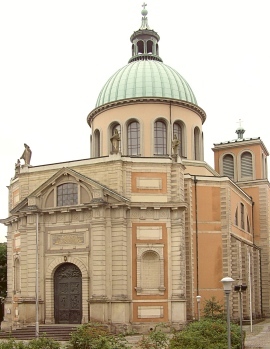 "Basilika St. Clemens Hannover" by Stebra - Own work. 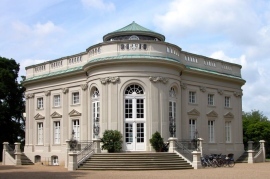 "Braunschweig Brunswick Schloss Richmond Frontansicht". Lower Saxony has the usual amount of historic buildings, museums, galleries and so on. But it is not exactly the kind of region people visit because of history and architecture. The main reason why tourists choose to visit Lower Saxony (and it's more popular with local tourists than with international tourists), is the attractive landscape, the islands, and the many nature parks. As most of the places of interest in this large federal state of Germany are outdoors, it would be recommended to travel there in summer. Late spring and autumn are also an option if you don't mind one or the other cool night. If you are a bird watcher, then you might want to plan your holiday according to the migratory patterns of the birds you would like to watch as not all birds are always there at all times of the year. Six of the East Frisian islands are inhabited, only two of them allow cars. The best option for island hopping is to travel by ferry from one island to the other. The islands are quite charming and are part of the Lower Saxony Wadden See National Park. There is a lot of bird life to be observed. A popular holiday destination. The extensive heath region is quite a sight to behold. If you travel there when the heath is in bloom, then you'll just see purple everywhere. Well, not everywhere, but almost everywhere. There are also lovely pine forests to take walks in, and you can visit an old palace, some lovely villages, and of course the city of Lüneburg itself. 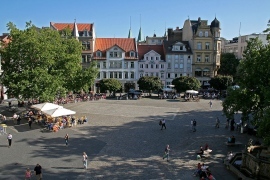 Lower Saxony's capital is usually a place most people visit during their stay in the region. It might also be their entry point as it is an important transport hub. 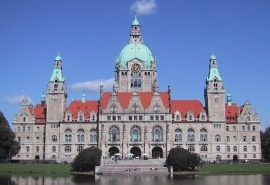 Hanover is not one of the most beautiful European cities as it has been largely destroyed during the second world war. This means that there are not many historic buildings to see. The city is known as the city of exhibitions and the EXPO city. It is a great destination for people who like new knowledge, museums, and exhibitions. This is a good place to go to if you would like to visit the Harz mountains. Brunswick is not just a useful gateway to the mountains, it also has a nice cathedral, some old churches, good museums, a nature reserve, and an arboretum. There definitely is enough to keep you busy for a day or two before you head into the mountains. If you feel like the sea, and love resorts, then you can't go wrong with a stay in Cuxhaven, which is one of the most famous seaside resorts in Germany (and thus very popular and busy during summer). You can walk on dunes, watch the ships pass in the harbor and spend a relaxing holiday with good food, good drink, and good entertainment. Goslar is of interest to you if you like medieval architecture, and is another gateway to the Harz mountains. Visit the magnificent imperial palace, look at the famous gates and ramparts, and then enjoy a good evening meal in a restaurant. There also is a tank engine that can take you on a guided tour through the city. It's a unique and interesting option to see the city without having to be too active yourself. Save your energy for the mountains! The Harz mountains are one of the reasons why people come to this region. The mountains are one of the lower mountain ranges in Germany, but they are nevertheless not to be underestimated. If you plan on hiking in the mountains, make sure that you choose a path that is suitable for your level of fitness. If in doubt, go on a guided hike with an experienced ranger who will also be able to tell you more about the flora and fauna of the mountains. 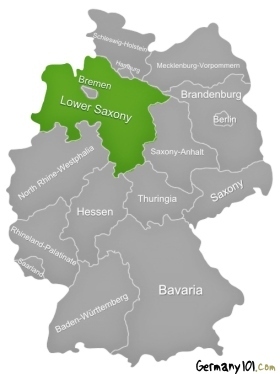 How to plan your trip to Lower Saxony? 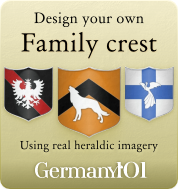 Depending on your plans during your holiday in Lower Saxony, it is advisable that you plan your trip very well. If you would like to do some island hopping, for example, it really pays off to get all the needed information (ferry timetables) in advance, and also book your accommodation if you plan on staying on one of the islands over night. 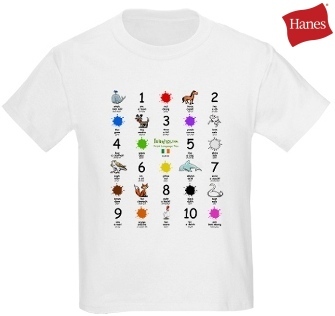 They can become very popular in summer, and you don't want to be stuck on an island without accommodation. In bigger places, you should not have a problem with communication, but the smaller villages might not be very good places if you don't speak a little bit of German.